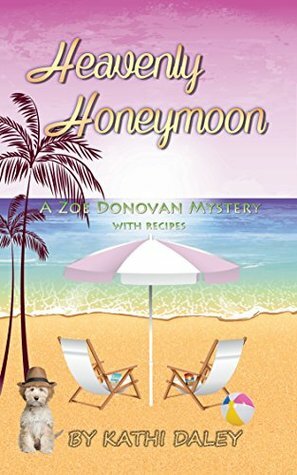 In true Zoe Donovan fashion, Zoe ends up in jail on the second night of her honeymoon after she finds herself the only suspect in the first murder Heavenly Island has seen in a decade. Although she has been ordered to leave the investigation to a man known only as Toad, she can’t help but snoop around just a bit while enjoying the tropical paradise with new husband Zak. In the midst of enjoying days at the beach and moonlit walks under the stars, she discovers a truth about the island that might very well put those she loves in danger. Now that Zak and Zoe have finally tied the knot, it’s time for a blissful and relaxing honeymoon on Heavenly Island. Well, in theory at least! As you probably have guessed by now, the best-laid honeymoon plans do not run smoothly for Zak and Zoe. Be sure to enter below for a chance to win your own copy of Heavenly Honeymoon by Kathi Daley and check out all the action for yourself! One winner will be gifted a copy of the book. U.S. winner can choose from a paper copy or an e-copy; international winner will receive an e-copy. Fill out this brief form for your chance to win! Drawing will be held on Monday, July 6, 2015. Nice giveaway. Doesn’t everyone know someone called Toad.